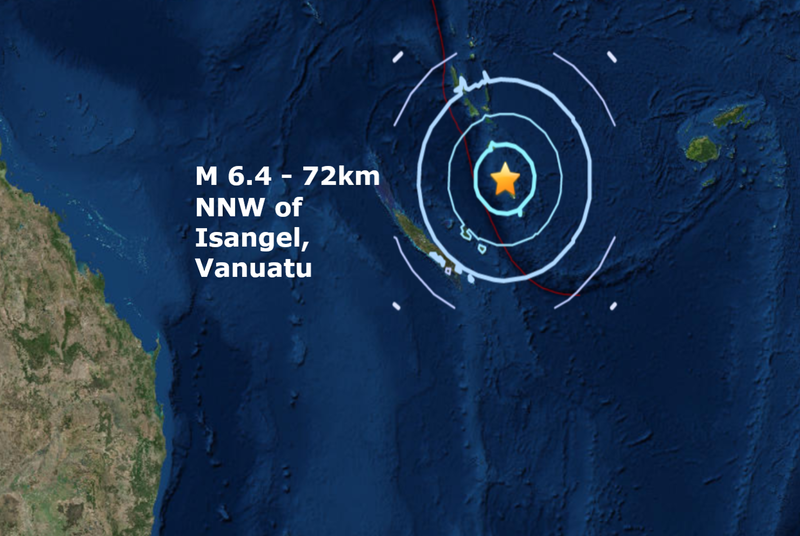 Only the 2nd major quake of July and only the third since a mag 6.1 struck South of the Kermadec Islands on May the 18th has hit the island of Vanuatu. 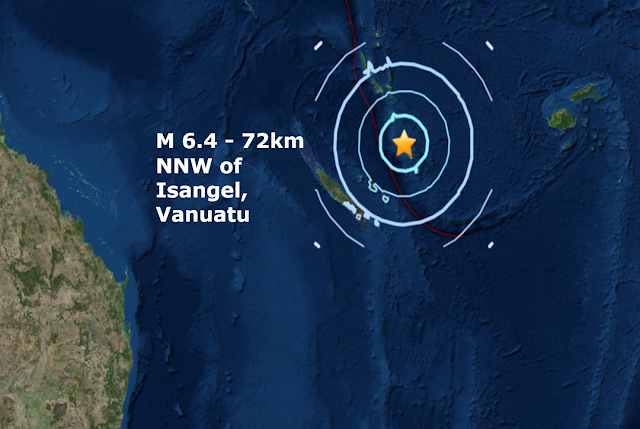 The mag 6.4-72km NNW of Isangel, Vanuatu is the biggest quake to hit the planet since a mag 6.9 - hit Leilani Estates, Hawaii at the beginning of May. The Vanuatu quake is the 2nd major quake so far this month and only the 46th of 2018, 4 short of the 2017 total at this point and 2017 finished the year on only 111 major quakes, the lowest total this century. According to Spaceweather.com, the sun has been without spots for 16 straight days. To find a similar stretch of blank suns, you have to go all the way back to April of 2010 when the sun was emerging from the deepest solar minimum in a century. However, two weeks without sunspots is not a long time. At the nadir of that century-class solar minimum in 2008, the sun was blank for 52 consecutive days. Conclusion: Solar minimum is just beginning and we have a long way to go. Has this lack of sun activity something to do with the lack of major quakes?